The Ice Cream man returns with his star-studded mix. 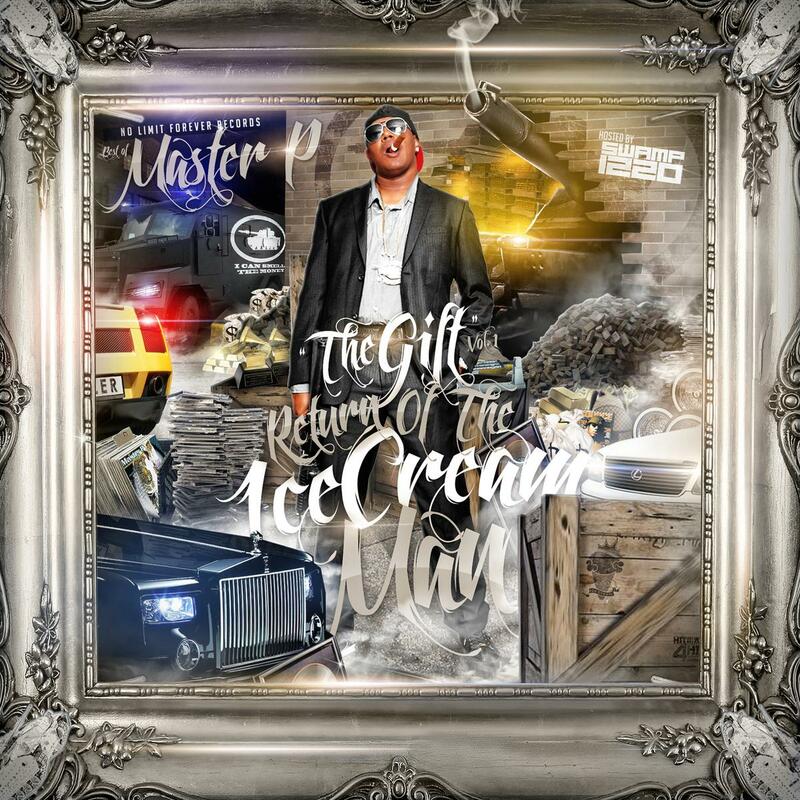 Master P returns once again with a feature-heavy, twenty-one-track mix called "The Gift (Return of the Ice Cream Man) hosted by DJ Swamp Izzo. The title, of course, refers to his 2013 album, called simply The Gift, and offered a lot of the same producers and collaborations that showed up on this tape. 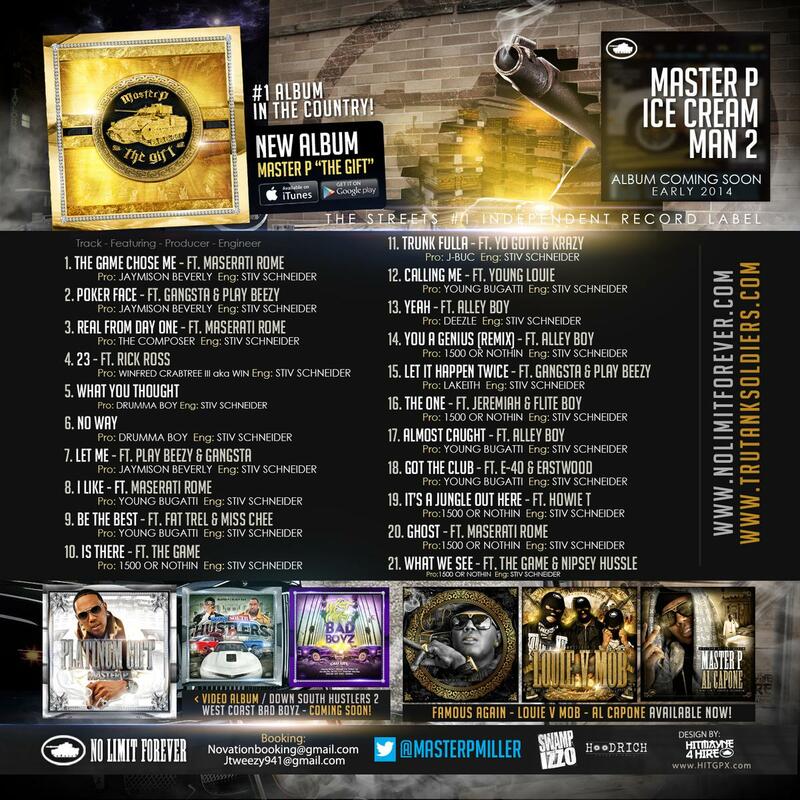 Of course, that means The Game, Rick Ross, and Nipsey Hussle all show up on tracks and producers such as 1500 Or Nothin and Jaymison Beverly provide some of the tracks seen here. It's great to see Master P actively rapping again and this mix is staggering in just the sheer amount of content and collaborations seen here, once again displaying that the Ice Cream Man hasn't missed a beat.